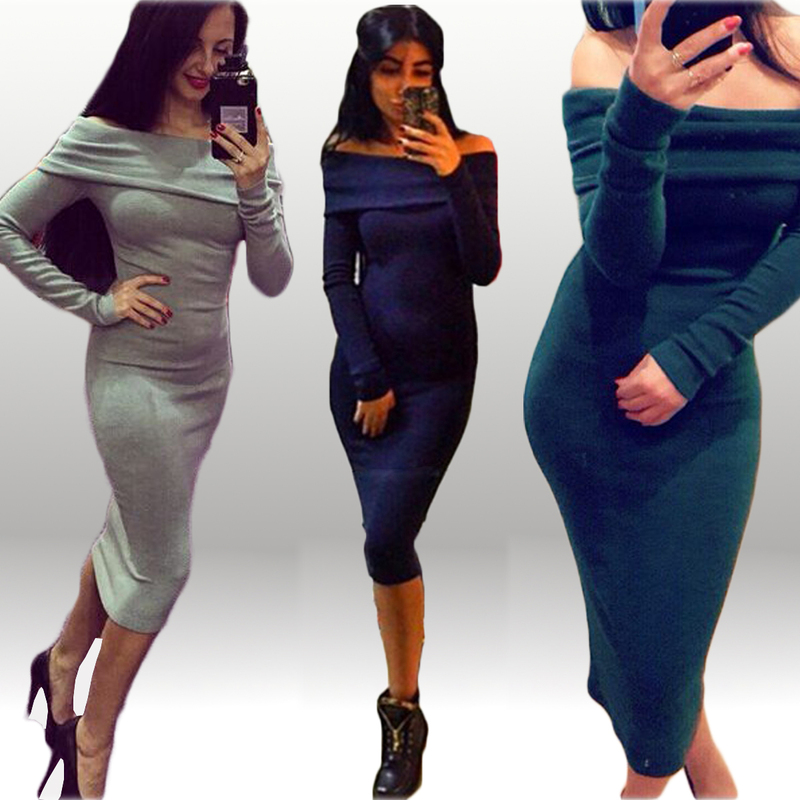 This bodycon dress has 3 colors available: Dark Green, Blue & Grey. It features the slash neck that would make you be more elegant. Long sleeves details. The main material is the cotton that would never hurt your skin and may leave you a skin-friendly feelings.